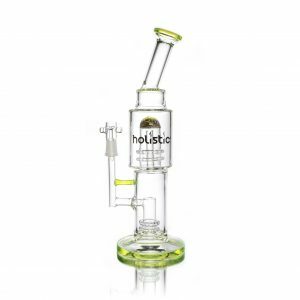 Home / Shop / Holistic Glass / Holistic Waterpipes / 13″ Holistic Fixed Cup Perc & Splash Guard. Straight Mouthpiece. Tube. 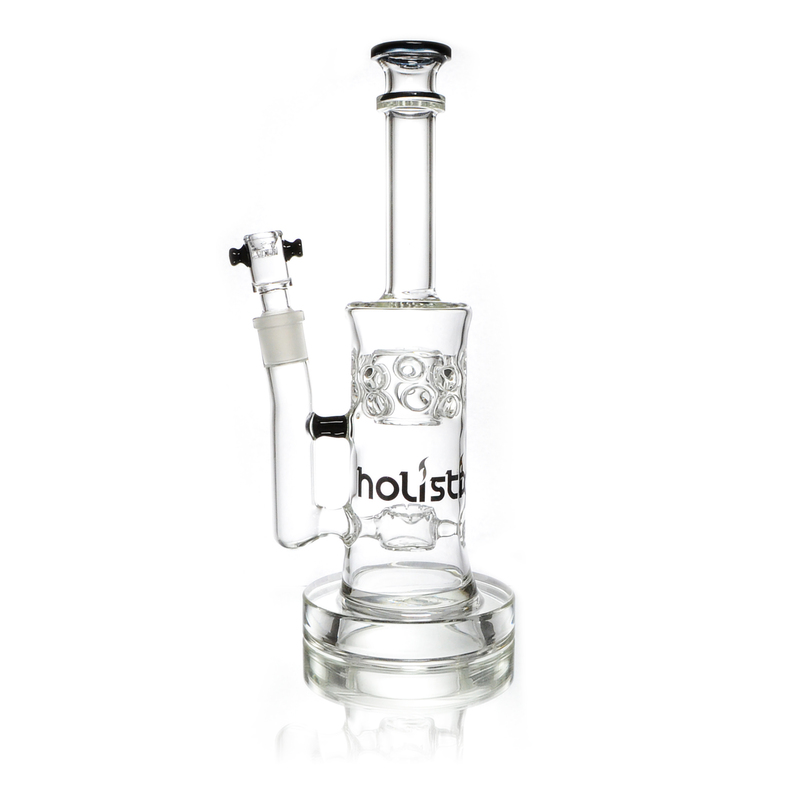 13″ Holistic Fixed Cup Perc & Splash Guard. Straight Mouthpiece. Tube. Holistic. Fixed cup perc. Black accent. Tube. Holistic Fixed Cup Perc & Splash Guard. Straight Mouthpiece. Tube. It also contains a splash guard. Your smoke will be smooth as silk, and you needn’t worry about water splashing up and ruining your perfect draw. 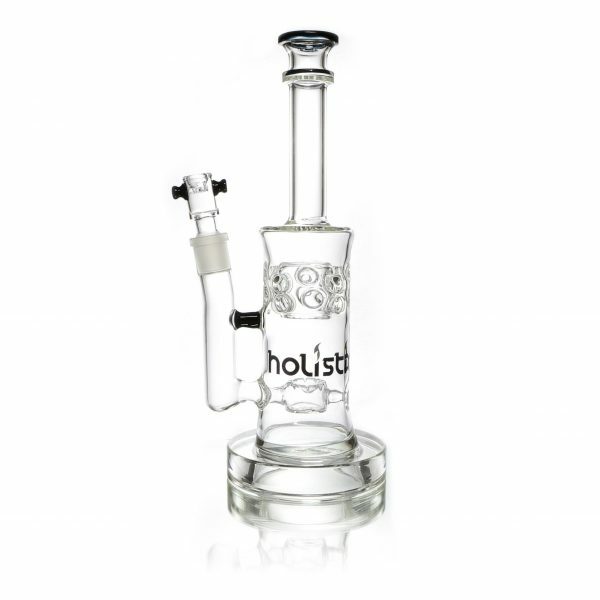 The fixed cup perc will clean the densest smoke into white clouds, and the splash guard means no water will splash up, even if you fill it a little too high. 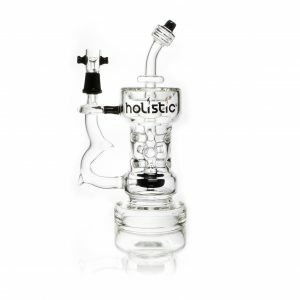 Continuing the tradition of form, function, and performance, you’ve come to expect out of us at Holistic this bubbler is everything you need in an oil rig. 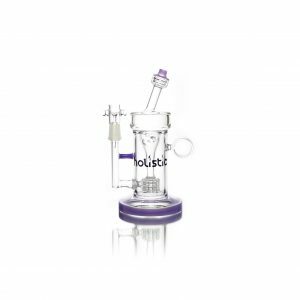 It stands at 13 inches tall from base to the top of its mouthpiece and contains a single (large) fixed horizontal cup perc that’ll clean your smoke, making it as white as milk and cool as air on a fall afternoon. The water guard also allows you to play with the water levels, without risking any splash up, it also helps get that little bit extra smoke in a pull with its Straight mouthpiece. 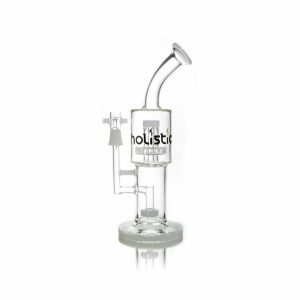 Easily converted into an oil rig with a Domeless Titanium Nail.